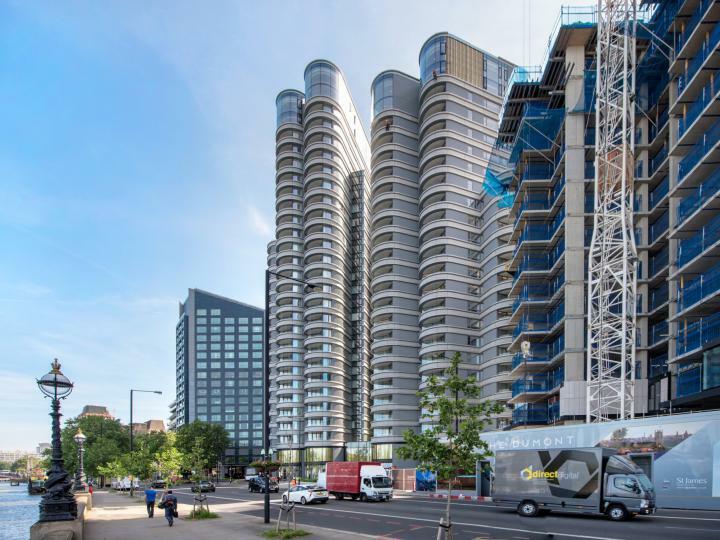 Truepennys are delighted to act as sole agent for the sale of this stunning 5th floor apartment, in one of the Albert Embankment's newest and most prestigious developments. 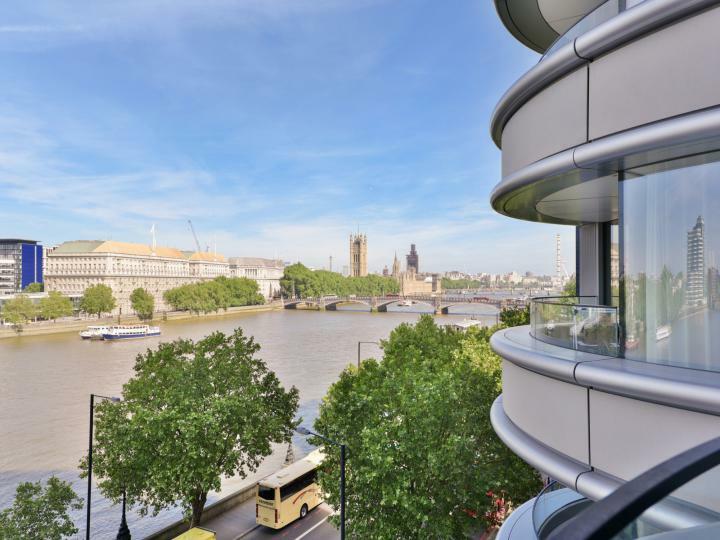 This eye watering two bedroom apartment is located in Tower Two, offering panoramic views of the Thames, Westminster and the London Eye from its uniquely designed balcony- the perfect spot for taking in the London skyline. The properties entrance hall has been fitted with two in-built wardrobes, both of which have been fronted with double mahogany doors- creating ample amounts of storage space. 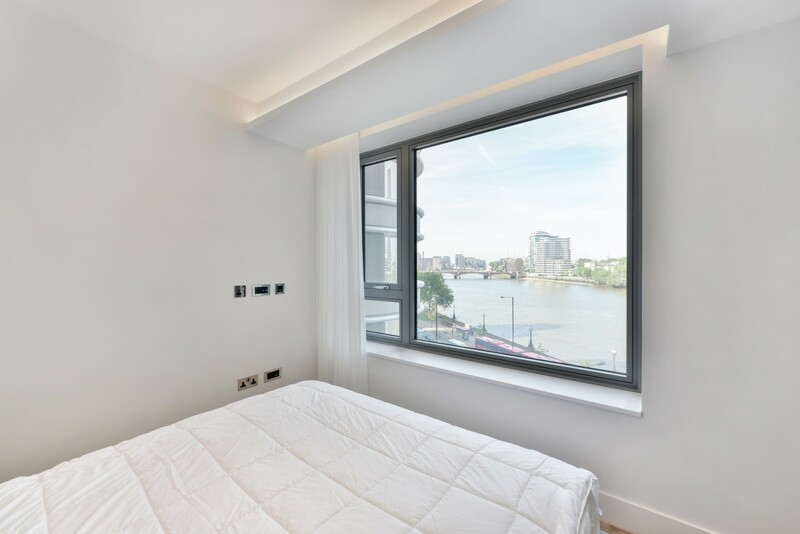 Both bedrooms can be accessed from the hallway, which leads directly through another set of double mahogany doors, and into the kitchen and living area. 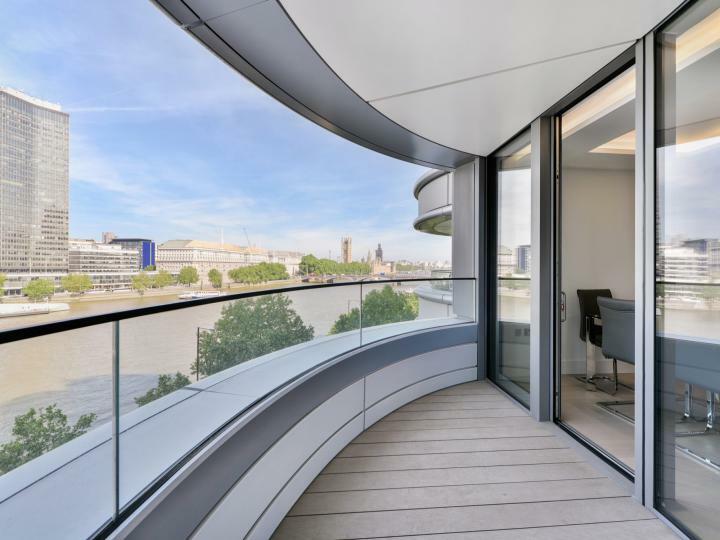 With direct access to the balcony, the lounge area creates the perfect space for any professional to enjoy the London skyline from behind a curved glass feature wall. 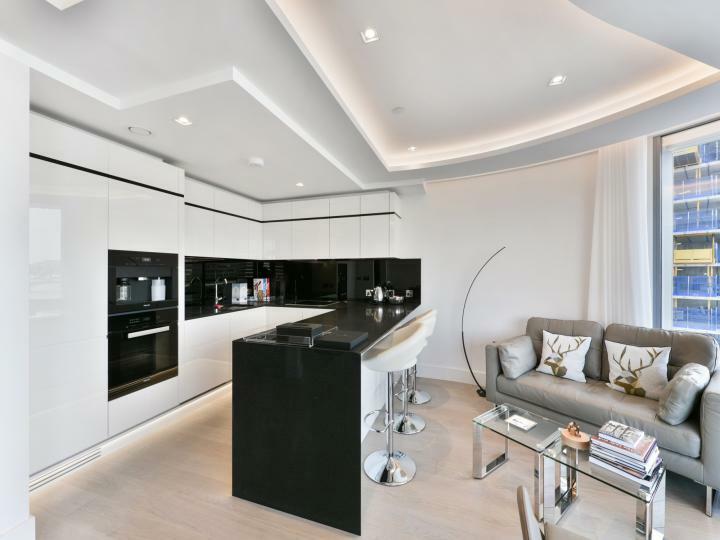 The properties excellent layout comprises of a contemporary open plan reception and living room with modern fitted kitchen, which includes fully integrated appliances and a built in coffee machine. 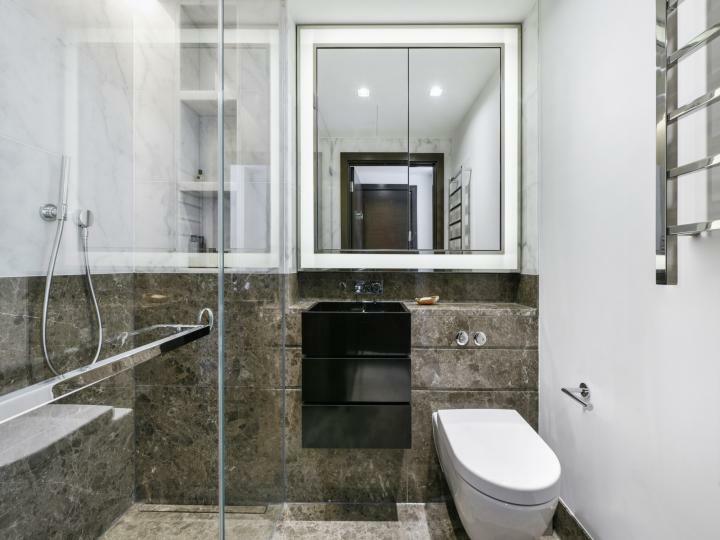 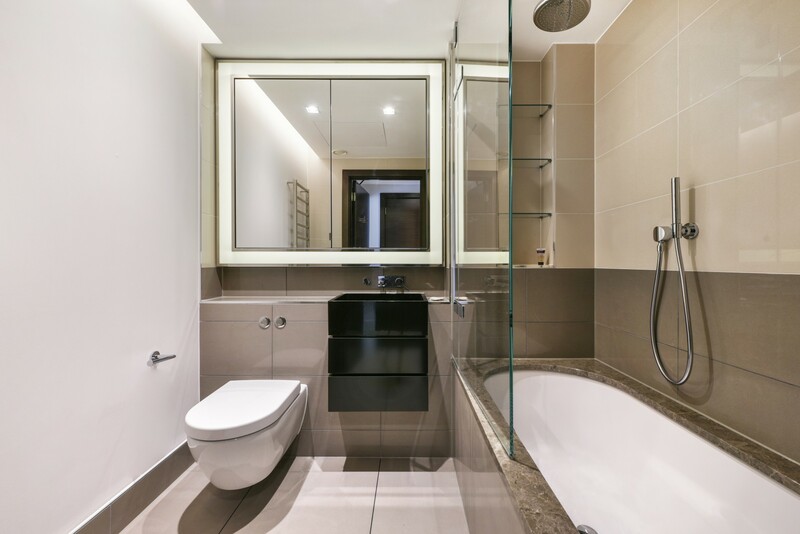 There are two double bedrooms, and two bathrooms, which have been beautifully tiled in granite and marble. 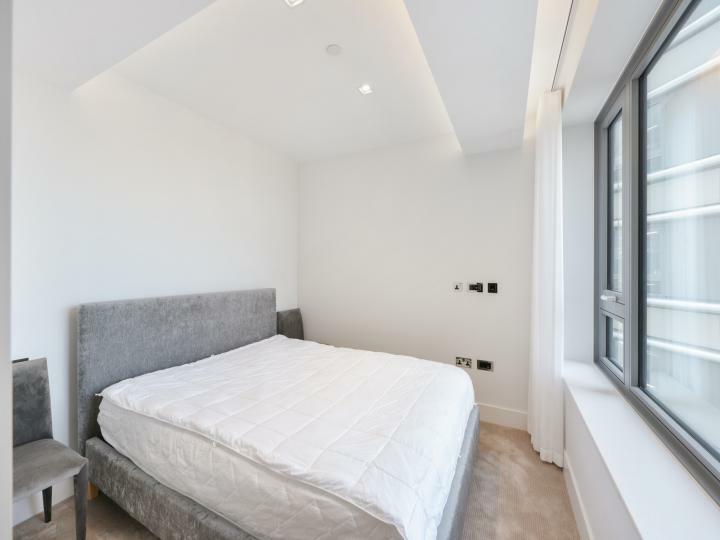 The master bedroom benefits from a large en-suite, spacious walk-in wardrobe with its own window, as well a beautiful carpets and mahogany doors. 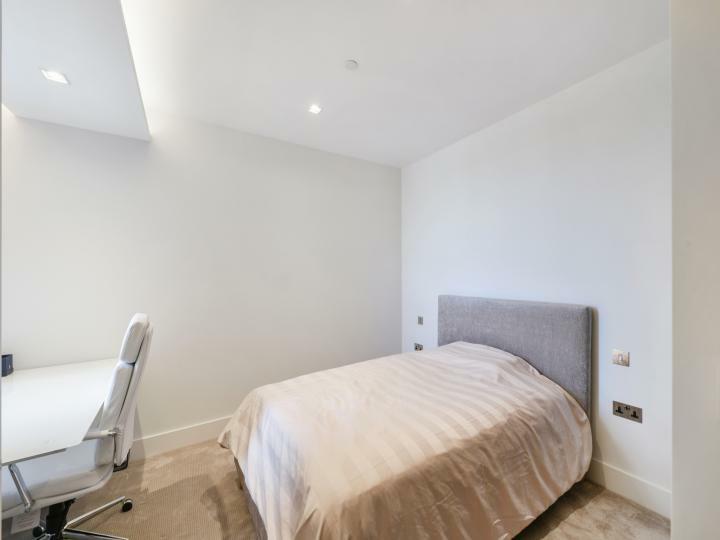 The second bedroom has been finished to an equally outstanding finish, with a large built in wardrobe and access to the second bathroom. 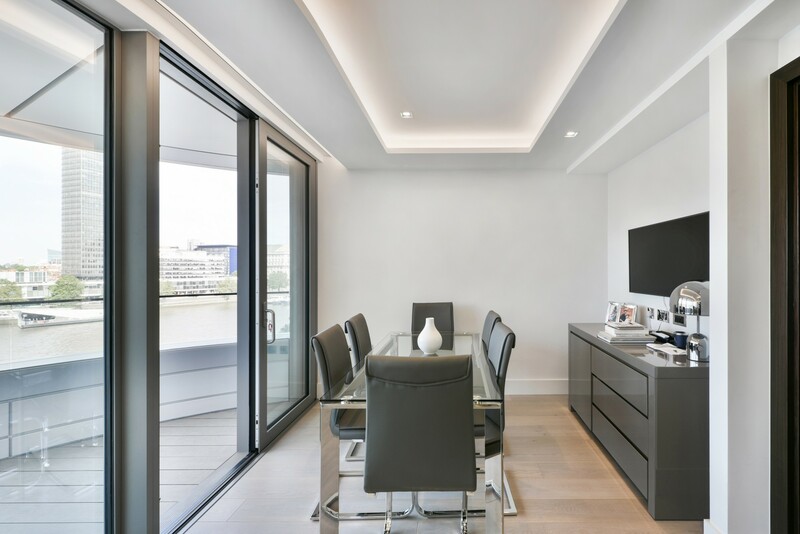 Additional luxuries within the Corniche include access the indoor heated swimming, Skyline Club Lounge and Spa, as well as a private screening room. The properties is a moments walk from the Vauxhall Underground station and bus links. 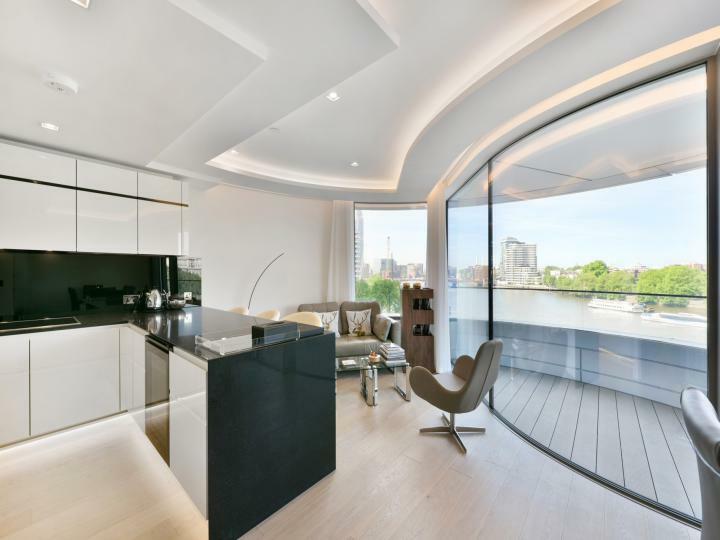 A private underground parking space is included in the sale of the property. Given its central location on the South bank of the River, The Corniche building is perfectly placed to capture the unique beauty and personality of the London metropolis. Fabulous views over the most famous stretch of the river Thames take in every silhouette of the London skyline.